Little did I know when I joined the Old Horts network a couple of months ago that it would lead me to meet such great people and go to such interesting places. 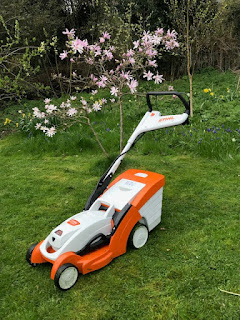 A recent event was held at Euridge Manor, where one of our members is the head gardener. 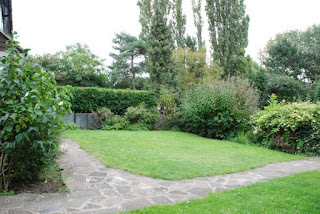 We were going to have barbeque, there was talk of croquet and boules and a lairy shirt competition but to be honest the pulling power for me was the opportunity to wander around a garden not usually open to the public. From the moment I arrived and saw the amazing earthwork, I realised this was a special place. The front gate is a grand ruined affair and leads into a formal lawn with box edging and topiarised trees. It was all beautifully maintained. Box edging was very much a theme of the gardens, as were brightly dressed people. It is all rather spectacular. Did I mention brightly dressed people and fantastic architecture? Even the ducks had a grand apartment (there were two of these, one each side). Everything was on a grand scale. just look at these perfectly espaliered trees. Beyond the formal gardens there were the working gardens, these were equally beautiful. The cutting gardens were so well done. and this eruption of pumpkins on the compost heap was just a masterclass in how to grow pumpkins. The tump had to be climbed up. and it was worth the walk. did I mention brightly dressed people? Its not often you see a peacock looking dowdy in comparison. however the lairy shirt cup came home with me. It was a fantastic day, the food, the surroundings and the company was wonderful and a great time was (hopefully) had by all. A huge thanks to the organisers, it was a triumph. Euridge Manor looks like a terrific place to visit. Such fun to win the lairy shirt cup! Oh I do love a pumpkin on a compost heap! It looks like a great visit. I have only just discovered Old Horts. Are you doing the Christmas lunch? Since you won the lairy shirt prize, we want to see the lairy shirt!